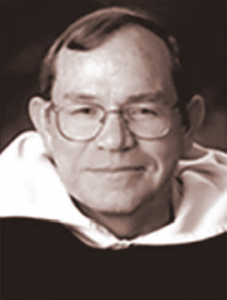 The following is an edited version of a homily for the “Birth of John the Baptist” by Fr. David Sanders, OP who teaches scripture at Blackfriars, Oxford. “Why is there all this fuss about John the Baptist? Why is he so important that the celebration of his birth overrides the ordinary Sunday Mass? We are told that he was the precursor, the one who introduced Jesus to the people. But surely Jesus could have introduced himself and just stated, “I am the messiah”: Why the need for this guide? The answer lies in our blindness. Often we are so wrapped up in our society that we cannot see what its real needs are, and what sort of person can meet them. John the Baptist is one of those figures in history who stand apart from society and gain the insight which allows them to judge society. John spent most of his adult life in the wilderness, abstaining from alcohol, living on locusts and wild honey, and dressed in a camel skin, which recalled the dress of Elijah, another great prophet from Israel’s past who was also ablaze with a reforming zeal. This craggy figure, like the Mandelas, the Dorothy Days and Solzhenitsyns of today, refused to be fooled by the spin which denies the evil around us and pretends there is peace when no peace exists. 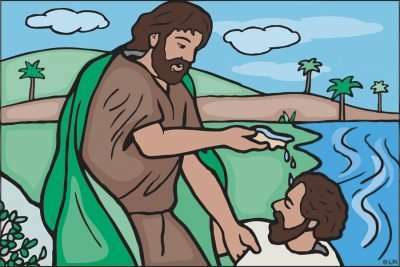 He taught ‘the whole people of Israel’ to see the rottenness at the heart of their society, and then to acknowledge their sins and repent by being baptized in the waters of the Jordan. He was a prophet who had the courage to challenge the people and teach them what they really needed, but he was more than a prophet because he showed them how to find the one who could bring them salvation. He pointed away from himself to Jesus, the greater one, the only one who could deal with sins at the deepest level through the baptism of fire and the Holy Spirit which he would undergo when he offered himself in sacrifice upon the cross. John not only taught them how much they needed a savior, but then through his particular witness he helped them to see the contrasting way in which Jesus brings salvation to people standing under the judgment of God. In Christ, God comes close to his people, so close that he was willing to submit himself to John’s baptism as a sign of solidarity with sinful humanity. So close that he did not live in the desert, but mixed with the crowds in the towns and villages of Galilee. He did not fast alone but spent his time eating and drinking with sinners; he is not only the messenger of God’s wrath, but in himself he makes present the good news of the salvation of God. John’s witness continues to play a crucial role for us. In a society which finds judgment offensive and yet craves to find ways of dealing with its guilt, which denies sin but demands forgiveness, John shows us that forgiveness is not possible unless you first recognize that there is something that needs to be forgiven.